On 4th July 2016 the Vilnius Regional Administrative Court adopted the definitive ruling regarding the original spelling of first and last names. 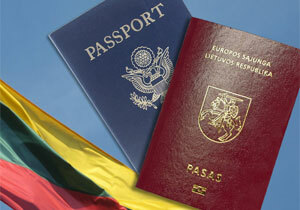 The court obliged the Migration Board to write the letter “w” in the citizen’s of the Republic of Lithuania (RL) passport. The court stated, “The decision of the Migration Board in which it refused to accept the official request for the issuance (change) of the ID card in the “Pauwels” name is unlawful and unjustified, as, pursuant to the new marriage certificate that has been issued, the petitioner’s surname has been changed from ‘Pauvels’ to ‘Pauwels’.” The new certificate was issued on 19th August 2015, based on the Vilnius City District Court judgement of 30th July 2015. Today’s ruling was the first in which the court had commented on the spelling of first and last names in identity documents of the RL citizen. The Vilnius City District Court has heard five cases so far, including those of the clients of the European Foundation of Human Rights (EFHR), in which it obliged the Registry Office to write the letter “w” in marriage and birth certificates. The Pauwels family is the first family in Lithuania which, on 30th July 2015, finally has got the favourable decision concerning the writing of the letter “w” in the marriage certificate. Today the family became also the first family that had been allowed to write “w” in the passport. The EFHR is receiving more and more requests for help regarding first and last names spelling issues where the only solution is to take legal action. Although the Seimas members promised to consider bills regarding the first and last names spelling during several sessions already, the law has not been adopted so far. The solicitor’s assistant Ewelina Baliko, who represents mixed families fighting for the original spelling of first and last names, says that this judgement is one of the most significant. Up to now critics of the original spelling of names have played down the significance of the court decisions claiming that they do not concern the spelling of names in identity documents, but just in vital records. After today’s ruling those arguments become unfounded. The Migration Board has 30 days to lodge an appeal against the court decision. If it does so, the case will be considered by the Supreme Administrative Court of Lithuania.